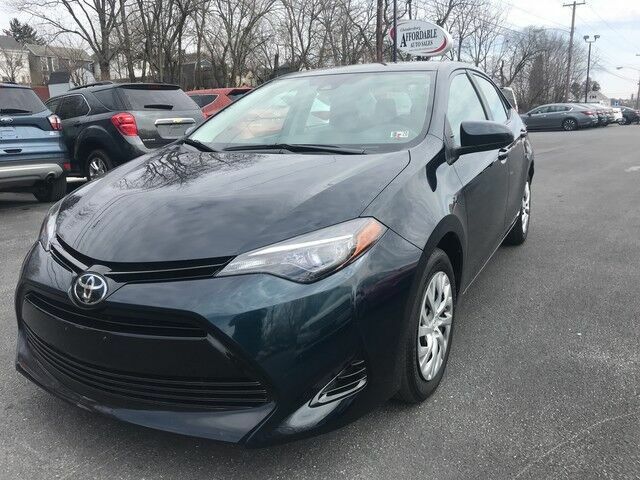 Thank you for visiting one our of exclusive listings and feel free to visit us online and shopaffordableautos.com You could spend more on fuel each month than on your vehicle payments, so why not consider one with exceptional fuel economy like this 2018 Toyota Corolla. This is about the time when you're saying it is too good to be true, and let us be the one's to tell you, it is absolutely true. The Toyota Corolla L will provide you with everything you have always wanted in a car -- Quality, Reliability, and Character. Just what you've been looking for. With quality in mind, this vehicle is the perfect addition to take home. Visit us online at www.shopaffordableautos.com for additional photos and other vehicles or call us directly at 717-709-0555.